The Orla sofa by Jasper Morrison is the intrinsic fusion between classic and contemporary. 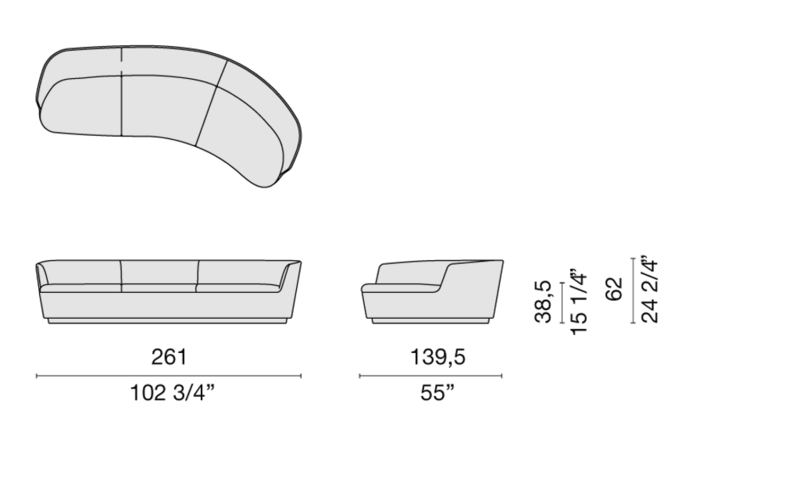 Available in two and three-seat versions, with the curve of the sofa on the right or left, is characterized by a slim shell that hosts large, comfortable cushions. 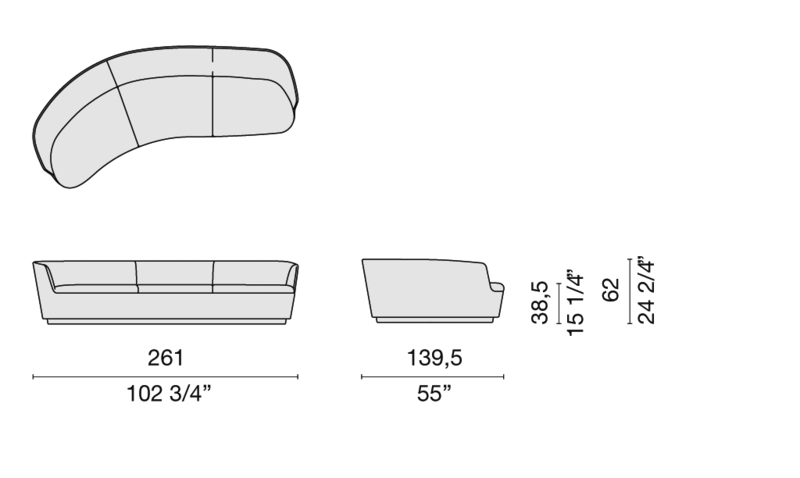 The structure of the Orla sofa is made of rigid polyurethane foam, with poplar plywood inserts and elastic belts. These sofas are comfortably padded with multi-density polyurethane foam and fibre. For the main structure, the cover is fixed, whereas the cushions have removable covers; both in the fabrics and leathers from the collection.